Harrington Raceway and Casino is pleased to announce that nearly 1,300 items were donated as part of a “Tis The Giving Season” promotion on October 29 to benefit the Ronald McDonald House of Delaware. Customers showed an outpouring of support and brought in various items from a published “wish list.” The donations were miscellaneous from cash, gift cards, food, blankets, batteries, paper towels, napkins, soap, etc. Harrington Raceway completed its 71st season of live harness racing Thursday with a 13-race program. As has been customary, the meet’s leading trainer and driver were announced. Daryl Bier and Joann Dombeck's Wind Of The North ($4.40, Victor Kirby) was a 1:56.1 winner in the $16,000 Open Trot Wednesday at Harrington Raceway. Meanwhile, trainer Brian Malone secured his first Harrington training title with 32 wins at the meet. Driver Victor Kirby won his 4,000th career race Tuesday at Harrington Raceway. Kirby is the reigning 2016 leading driver at Harrington. Richard Polluci's Christen Me ($3.80, Ross Wolfenden) was a 1:51.1 winner Monday in the $15,000 Open Pace at Harrington Raceway. Later on the card, horse of the meet honors were presented to Papa Ray. Mike Casalino and Dylan Davis' Theresademoninme ($16, Jon Roberts) notched his 21st career win in upset fashion Wednesday at Harrington Raceway with a 1:55.3 victory in the $16,000 Open Trot. St Kitts was an upset winner in the Mares Open Tuesday at Harrington Raceway for owner Mike Hall and trainer Doug Lewis. Legacy Racing of Delaware and Reginald Hazzard's Papa Ray ($2.80, Victor Kirby) recorded his second straight win Monday at Harrington Raceway with a 1:52.1 win in the $15,000 Delaware Special. Four $100,000 Delaware Standardbred Breeders Fund (DSBF) 2-year-old final, showcasing Delaware's top sired horses were contested Wednesday at Harrington Raceway on a beautiful fall day. Driver Russell Foster had winners in two of the final events. Brian Malone's Hostess Lisa ($4.20, Tony Morgan) was a 1:54.2 winner in the $16,000 Mares Open Tuesday at Harrington Raceway. Malone had an owner/trainer grand slam. Four $20,000 divisions for the second leg of the Delaware Standardbred Breeders Fund (DSBF) for 2-year-old trotters went post ward Wednesday at Harrington Raceway. Jeff and David Clark's Gracefully Forgiven ($2.20, Art Stafford Jr.) remained unbeaten in three starts with a 1:57.2 win in one of three Delaware Standardbred Breeders Fund (DSBF) $20,000 eliminations for 2-year-old pacing fillies at Harrington Raceway Tuesday. Stafford won 5 races on the program. Slick Tony and Transitioning Joy were prevailing favorites in the second round of $20,000 divisions in Delaware Standardbred Breeders Fund stakes action for 2-year-old pacing colts and geldings Monday at Harrington Raceway. The opening round of Delaware Standardbred Breeders Fund (DSBF) stakes action for 2-year-old trotters commenced on the Wednesday program at Harrington Raceway with four $20,000 divisions. Harry Von Knoblauch Stable's Bit Of A Legend N ($4, Jordan Stratton) won the 11th Annual Bobby Quillen Memorial in 1:52.1 Monday at Harrington Raceway. Nanticoke Racing, Ed Maas III and Arlene Paisley's Terror At Night ($12.80, Allan Davis) was a 1:53.3 winner in the $16,000 Mares Open Tuesday at Harrington Raceway. Jason and Susan Skinner's BJ's Sweetheart ($44, Art Stafford Jr.) was an upset winner in the $17,500 Mares Open at Harrington Raceway Tuesday in 1:53.3. Crissman Inc. and Niss Allen Farm's Major Uptrend ($3.60, Tony Morgan) was a decisive winner Monday at Harrington Raceway in the featured $15,000 Open Pace in 1:51.3. Frank Chick's Awsome Valley ($13.40, Russell Foster) was a 1:55.4 winner in the $16,000 Open Trot Wednesday at Harrington Raceway. Governors Day 2017 Full of "Riches"
Harrington Raceway hosted its annual Governor’s Day card during the Delaware State Fair Thursday, featuring more than $600,000 in total purses over 13 races. 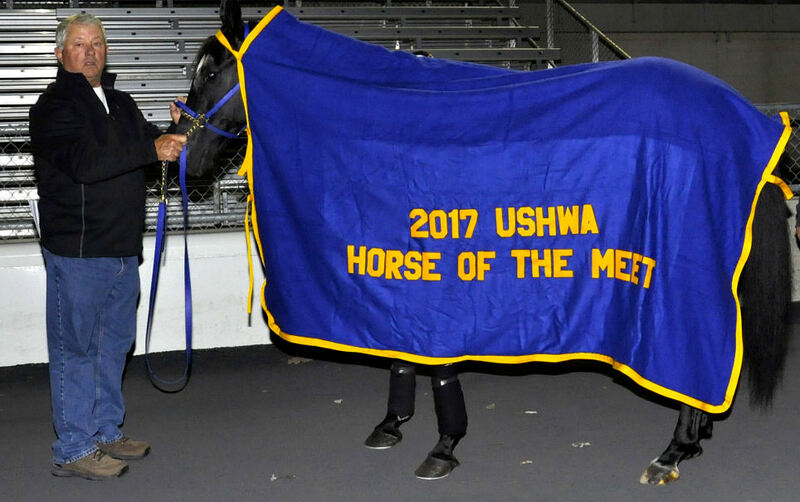 The annual program is a focal point for many Delaware horsemen, as a showcase of The First State’s top standardbreds as every horse on the program is either Delaware owned and/or Delaware bred. 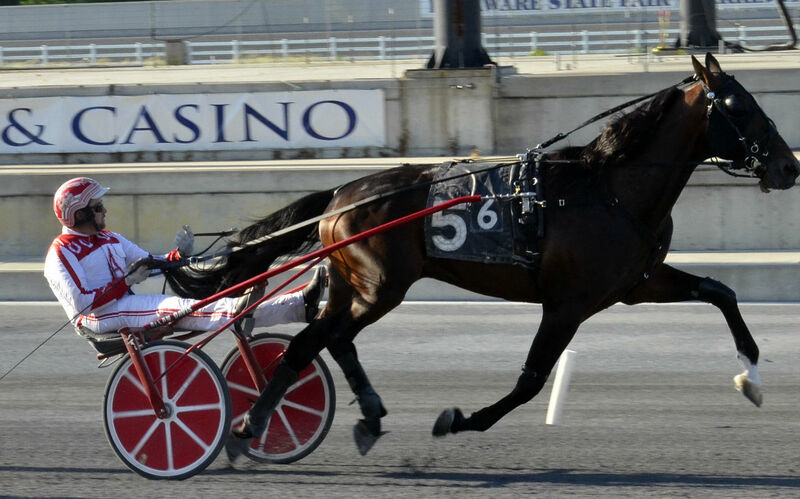 Harrington Raceway will host its richest program of the season on Governor’s Day Thursday during the Delaware State Fair with a 7 p.m. post time. Driver Allan Davis registered his 2,000th career win aboard Nice Trip ($6) Tuesday in 1:55.4 at Harrington Raceway. Art and Andrew Stafford's Framed Art ($4.60, Art Stafford Jr.) was a 1:51.4 winner in the $15,000 Delaware Special Monday at Harrington Raceway. Ben Brooks' Master Clave ($2.40, Ross Wolfenden) continued his dominance among the Delaware Standardbred Breeders Fund 3-year-old colts and geldings division with a 1:59 triumph Wednesday in one four $20,000 eliminations. Owner Jo Ann Looney-King, trainer Jim King Jr. and driver Victor Kirby swept all three $20,000 divisions of the second leg of the Delaware Standardbred Breeders Fund (DSBF) stakes Tuesday at Harrington Raceway. The second leg of Delaware Standardbred Breeders Fund (DSBF) action for 3-year-old pacing colts and geldings was completed Monday at Harrington Raceway with three $20,000 divisions. Three $20,000 divisions of the opening round of Delaware Standardbred Breeders Fund for pacing fillies were contested at Harrington Raceway Tuesday. Free Flight Fran was the fastest of the fillies with her fifth straight win for trainer Joshua Green. The opening round of Delaware Standardbred Breeders Fund (DSBF) action for 3-year-old pacers at Harrington Raceway commenced Monday with three $20,000 divisions. Bags To Riches broke the track record for 3-year-old pacing colts with a dazzling 1:51.4 performance. Kdk Standardbreds' Apple Bottom Jeans ($7, Montrell Teague) overcame outside post number eight for a win in the $17,500 Mares Open feature Tuesday at Harrington Raceway. Ken Wood, Bill Dittmar and Steve Iaquinta's Celebrity Pegasus ($5.00, Art Stafford Jr.) set a new track record for trotting stallions Wednesday at Harrington Raceway with a 1:54.1 score in the $15,000 Open Trot. CC Racing and Jo Ann Looney-King's Newborn Sassy ($2.40, Victor Kirby) improved to 2-for-2 in 2017 with a 1:53 win in the $15,000 Mares Open at Harrington Raceway Tuesday. Bill Sartin and Mark Salerno's Special T Rocks ($11, Jim Morand) was a repeat winner in Monday's $17,500 Open at Harrington Raceway in 1:50.2 over a sloppy racetrack. CC Racing and Jo Ann Looney-King's Newborn Sassy ($7, Victor Kirby) had a successful return to the races Tuesday with a 1:53.1 triumph in the featured $17,500 Mares Open at Harrington Raceway. Special T Rocks ($7, Ross Wolfenden) returned home a winner Monday in the $17,500 Open pace with a 1:52 victory. 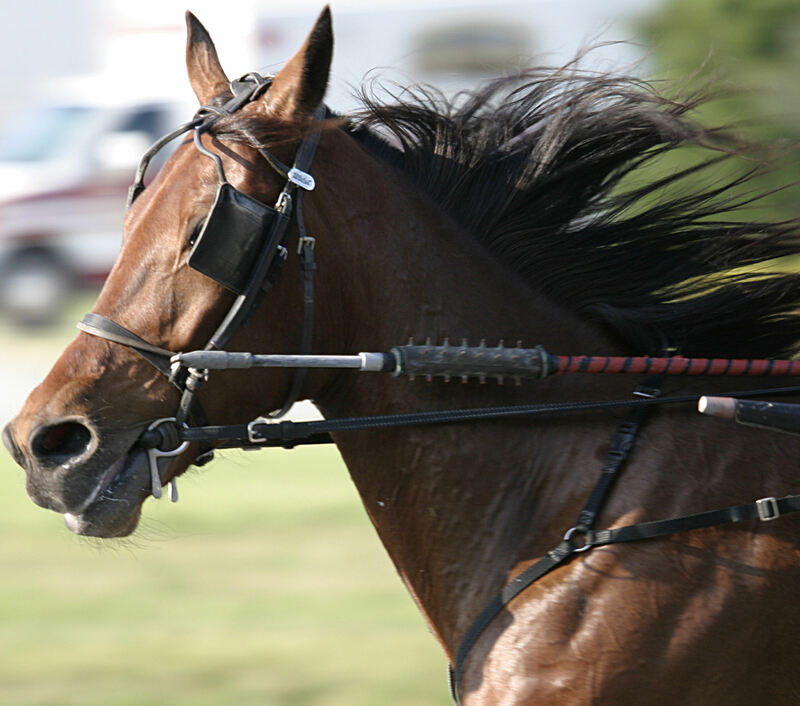 Trainer Bob Shahan and driver Allan Davis teamed up to win with a trio of trotters in successive races Wednesday at Harrington Raceway. Brian Malone's Hostess Lisa ($3.60, Tony Morgan) notched her 32nd career win Tuesday with a 1:52.4 win in the featured $17,500 Mares Open at Harrington Raceway. 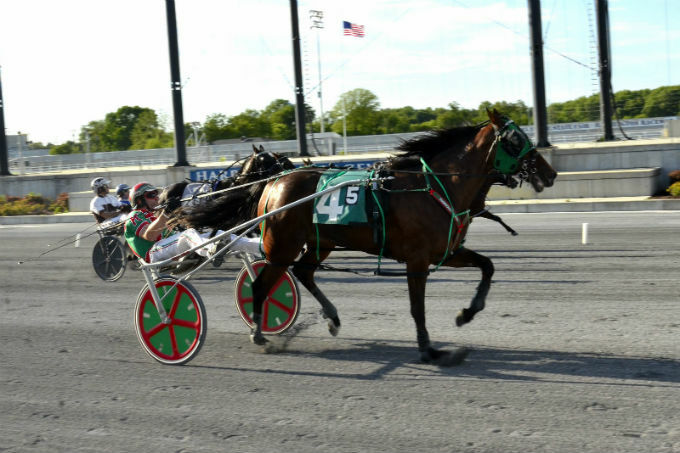 Crissman Inc. and Niss Allen Inc.'s Major Uptrend ($3.40, Tony Morgan) recorded his fifth straight win Monday at Harrington Raceway in the featured $17,500 Open pace in 1:50.3. Daryl Bier and Joann Dombeck's Wind of the North ($2.20, Victor Kirby) had a successful Harrington Raceway debut with a 1:55.4 win in the featured $15,000 Open Trot Wednesday. Bryan Truitt's Enhance Your Mind ($3.60, Victor Kirby) was a 1:54 winner in the $16,000 Mares Open Tuesday at Harrington Raceway. Harrington Raceway's 71st season of live harness racing kicked off Monday with a 10 race program. Live harness racing will commence Monday for the 71st consecutive season at Harrington Raceway with a 10-race program starting at 5 p.m.
A friendly reminder to horsemen that the first draw is April 18 and the box will close at 10 a.m. for the initial three draws. Qualifiers will be held on Wednesdays.For the first time, Harrington Raceway will be processing all purse payments via direct deposit. Horsemen are strongly encouraged to submit a copy of the direct deposit forms along with a copy of a voided check to horsemen's bookkeeper Ed Layton (ext. 3038) as soon as possible.